When selecting a Mandala based on your intention, consider what your dreams and aspirations are for the space that it will reside in. 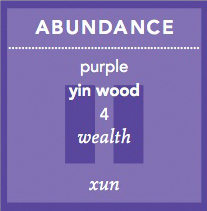 Using the feng shui bagua map, click on the area of your life that you would would like to enhance and focus upon. Then choose which mandala you're most attracted to. Remember, first thought, best thought.